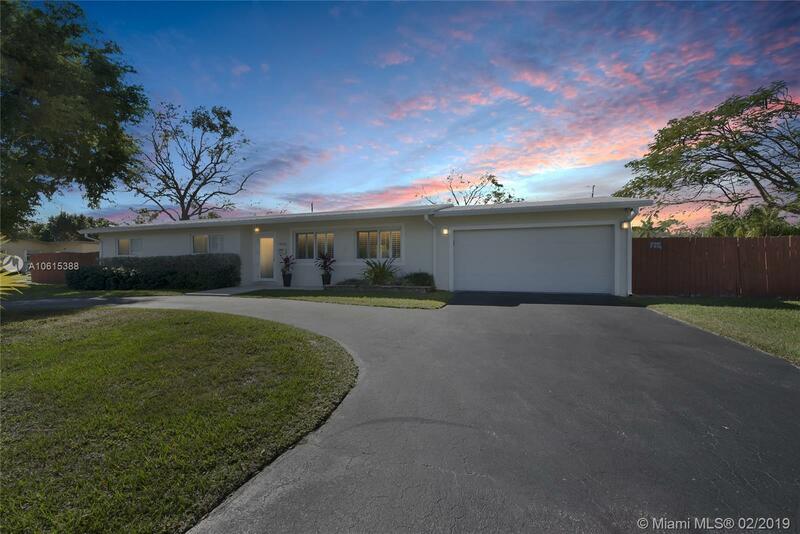 Prime North Palmetto Bay home with all the modern updates you are seeking on over sized lot! Contemporary open floor plan, custom white gourmet kitchen, large island, gas range with Viking hood, beautifully designed built-in bar with wine fridge and bonus desk area. Updates also include crown molding, continuous travertine flooring, recessed lighting, plantation shutters, marble bathrooms all done with high end finishes. Impact windows/doors, metal roof and FLOOD ZONE X. Directions: Us 1 Or Old Cutler Road To SW 144 St To 86 Avenue North To Property.